POPSUGAR’s November 2016 Must Have Box is Perfect for Holiday Entertaining! Pehr Chambray Runner – Wine ($44) and AJ Goods Nest Wire Bowl ($35): Both are great accents and additions to your holiday table settings. Oogie’s Snacks Gourmet Toffee Butter Popcorn ($2.99): No explanation is needed for this tasty, holiday treat! Meri Meri Star Party Picks ($8): Stick these into your favorite finger foods for a little extra holiday party flair! Kendra Scott Elaina Rose Gold Bracelet in White Pearl ($50): Scott’s delicate and dainty jewelry always complements a holiday outfit, especially in this winter white/rose gold hue. Stowaway Cosmetics Dawn to Dusk Palette ($25): This compact palette packs a major punch with 8 shades of eye shadow. In addition to the products, there were a couple of coupons in my box too: 20% off at Kendra Scott, 25% off at Pehr, and 25% off at Stowaway. If you needed an excuse to shop, here you go! 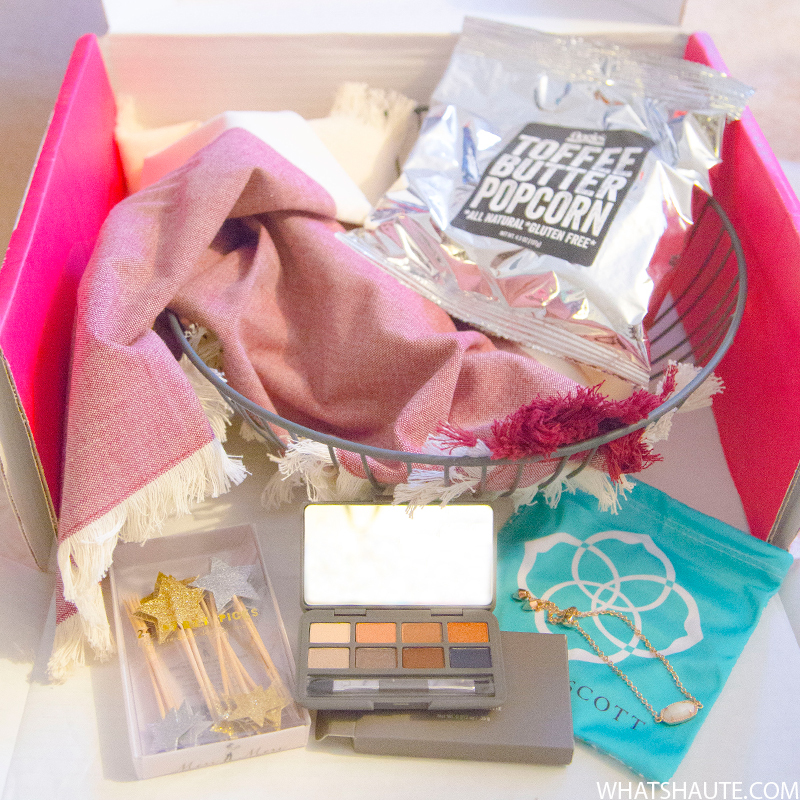 Also, if you haven’t yet grabbed a POPSUGAR Must Have Box, now’s the perfect time to do so. Gift yourself one for the holidays – or send a gift to someone else! Use code SHOP5 (which NEVER expires) to take $5 off your FIRST Must Have Box order!